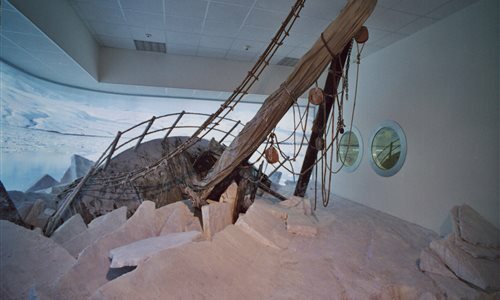 The National Antarctic Museum of Trieste, inaugurated in 2004, is dedicated to the history of Antarctic explorations and marine geology and geophysics research. In this little jewel, located in the park of San Giovanni, visitors will discover the magic of the ice continent: from the original historic maps and stories of the first pioneers - Robert Falcon Scott, Roald Amundsen and Ernest Henry Shackleton - to the Italian expeditions. Inside the museum visitors can buy Mis-Mas bags made by Sartoria Sociale Lister. What are they? They are bags made from PVC banners that the University of Trieste printed for specific events, such as Notte dei Ricercatori (Researchers' night) and Trieste Next. So not only can you discover Antarctica, but you can also buy a unique, colourful and exclusive bag!